Facebook is probably the single best way to grow your practice right now. That is a bold statement but I really believe it is true. You can get in depth demographics to choose from and can start with as little as $1. Danielle Lambert from Snoutschool.com shares her secrets to Facebook ads and marketing. We talk about the 3 different types of ads that you can run and when you should run each type. We talk about everything from boosting posts to creating dark posts. 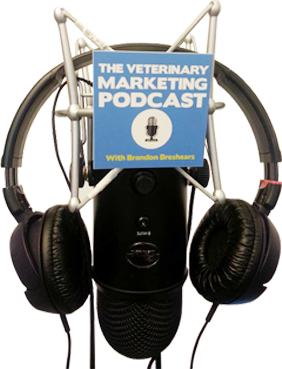 Danielle K. Lambert is a social media coach and veterinary practice manager. She’s the founder of SnoutSchool.com, the only social media tutorial site created by a veterinary professional, for veterinary professional s. Danielle bases her coaching on experience gathered as a veterinary practice manager at Quinebaug Valley Veterinary Hospital in Danielson, CT. In her spare time, she enjoys taking too many iPhone photos of her Brussels Griffon, Archer, and screaming at Tom Brady every Sunday during football season. You can find Danielle on Twitter, @DanielleSNOUT or take her free, on-demand social media course athttp://www.SnoutSchool.com/Training.